Product information "Block Stripe Silk / Wool / Cashmere Grenadine Tie - Navy / Gold"
This tie combines two very subtle, yet elegant colors, burgundy and grey, in grenadine weave. The texture is what makes it interesting – given the boucle finish. It goes really well with our butcher stripe shirt and honey barathea braces and burgundy pocket square. 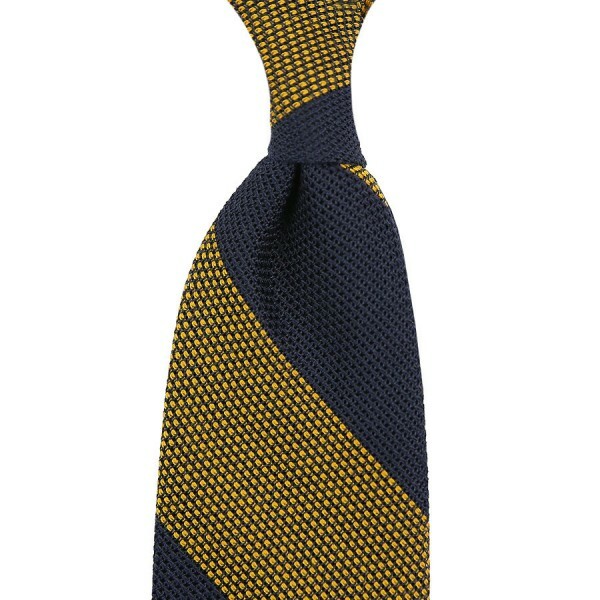 Related links to "Block Stripe Silk / Wool / Cashmere Grenadine Tie - Navy / Gold"